Delta’s A220 has made its official debut — a moment years in the making for customers and employees across the airline. 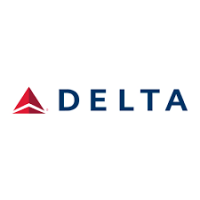 In the early hours this morning, Delta flight 744 pushed back from the gate at New York’s LaGuardia airport carrying customers for the first time on board Delta’s newest narrowbody jet, the state-of-the-art A220-100. Terminal C was bustling with excitement as customers, employees and aviation enthusiasts gathered to celebrate the first flight’s departure. Likewise, gatehouse festivities were underway this morning in Texas, where customers and employees eagerly awaited the morning’s first A220 departure from Dallas/Ft. Worth. “I have been with Delta for 34 years, and was in awe the first time I saw the A220. Customers will love it — it’s a spectacular plane,” said Damian Atchison, DFW-based Above Wing Customer Service Agent. Outfitted with a state-of-the art interior, Delta’s A220 brings elements of international widebody travel to domestic routes for customers to enjoy at home. Delta’s A220, which takes advantage of advanced technology and composite materials designed to deliver considerable improvements in fuel efficiency, is the latest investment in a fleet modernization program that aims to replace 20 percent of older, less-efficient aircraft by 2020. Delta took delivery of its first A220 in October 2018, and recently announced an order for 15 additional A220s, extending its order book to 90 total aircraft. Get a behind-the-scenes look at the prep work leading up to the A220’s launch in Delta’s “Best in Class” A220 miniseries.